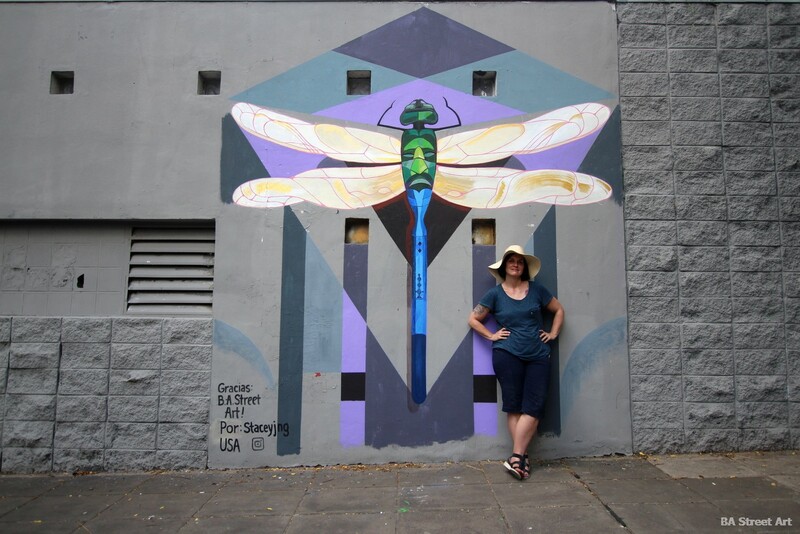 Stacey who is from Memphis, Tennessee, was visiting Buenos Aires for the first time and found time to complete this new mural featuring a dragonfly. 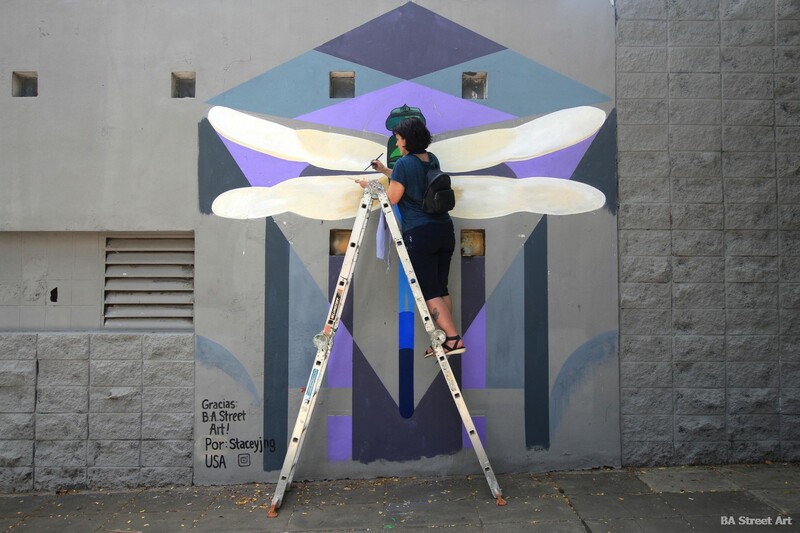 Stacey, who now lives in Milwaukee, Wisconsin, U.S.A. is founder of the street art project Black Cat Alley. 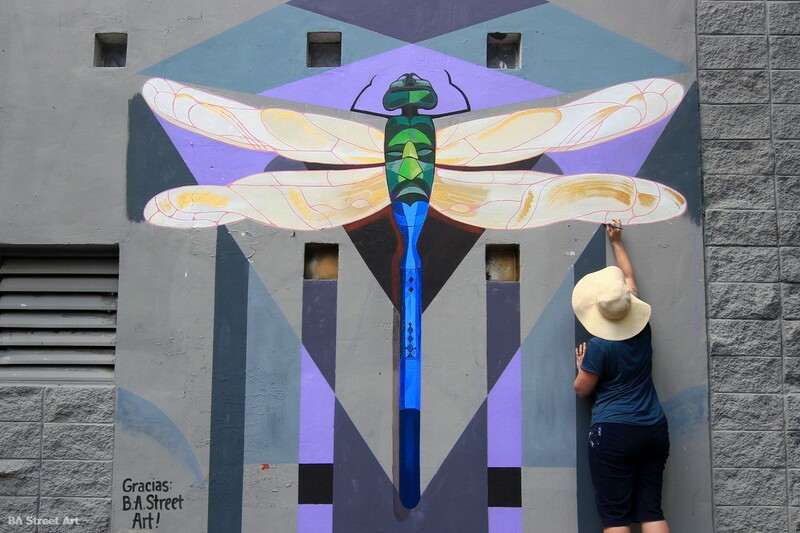 Stacey and her team have helped turn the historic East Side neighbourhood of the city into an urban art district and tourist attraction with more than 20 large-scale murals painted by local and international artists. 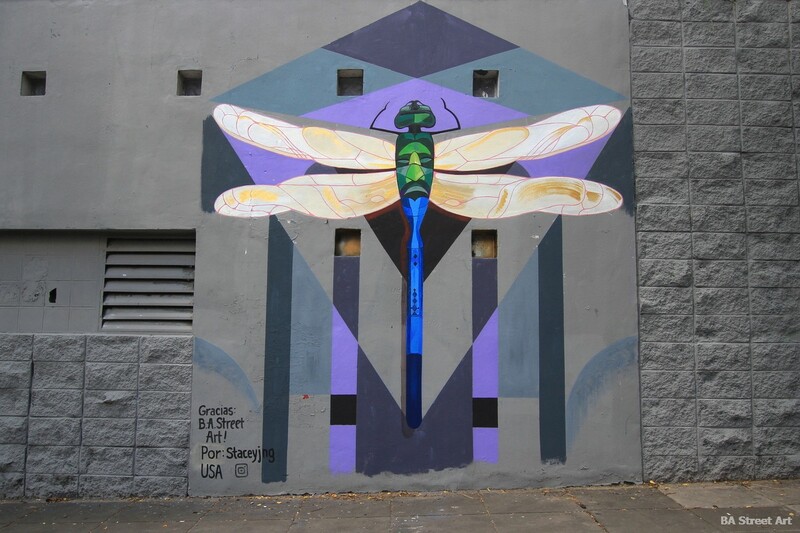 You can check out more information about the Black Cat Alley urban art project in Milwaukee, Wisconsin, run by Stacey on their Facebook page www.facebook.com/blackcatMKE/. 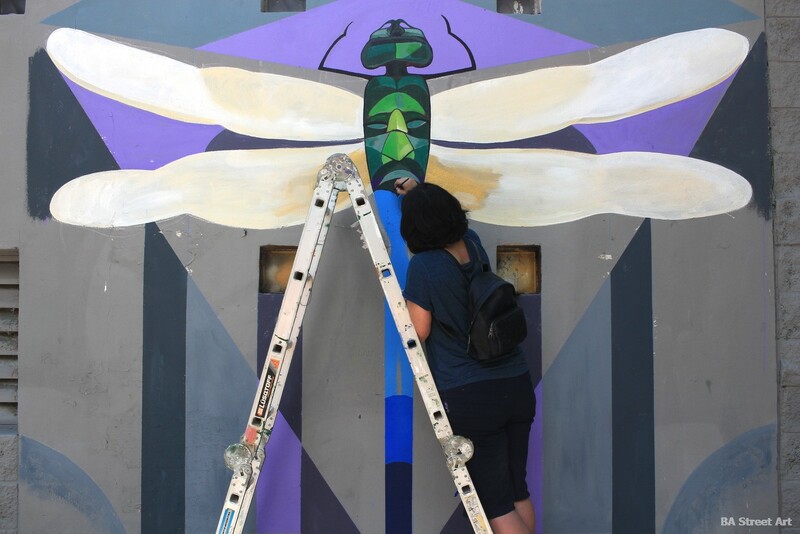 Thanks to Stacey and Ken. 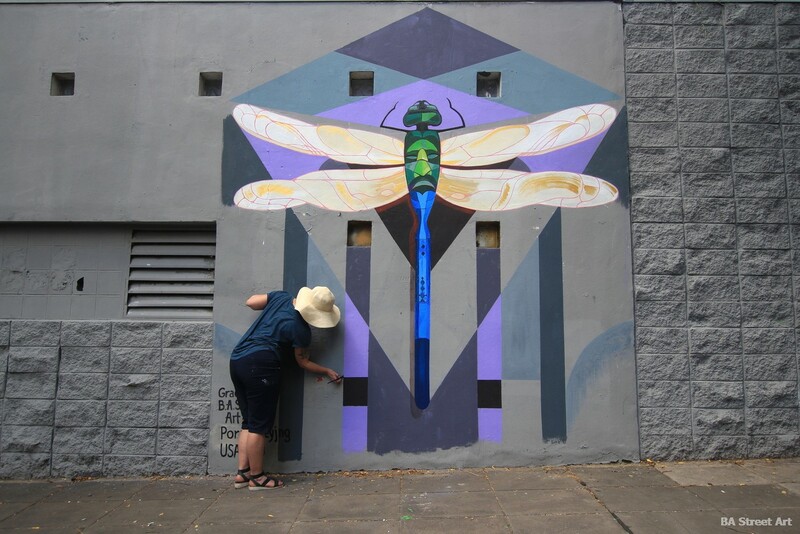 This entry was posted by admin in News and tagged Coghlan street art, dragonfly mural, dragonfly mural Buenos Aires, dragonfly street art, libélula, Stacey Williams-Ng, Stacey Williams-Ng artist.